You will need to pry those holiday guests away from the Christmas Puffcorn bowl and be prepared for a barrage of “How do you make that?” questions. I’m not sure Christmas Puffcorn necessarily qualifies as a ‘recipe’ due to its’ ease, but then again, I don’t think the purveyors of the Puffcorn care! Puffcorn is hulless popcorn and is made by many manufacturers. My favorite brand of puffcorn is Chesters (Frito Lays) version with butter. Alone, the puffcorn is reminiscent of movie popcorn smothered in butter. However, there is also organic puffcorn for those so inclined and regular puffcorn (without butter.) All work with the recipe, personal preference rules. This recipe is quite flexible. Just as a chef would salt & pepper to taste; adjust the amount of chocolate to your preference and experiment with salt and sweet flavor combination. Cover a baking sheet with parchment or wax paper. I use two baking sheets for one bag of corn as to not to crowd the corn on the baking sheet. Melt the white candy or chocolate in the microwave. Sacrebleu – melting chocolate in the microwave. You bet! For this recipe it works just fine. 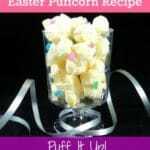 Drizzle melted white candy over the puffcorn. I use a wooden spoon and gently drip the melted chocolate by moving the spoon back and forth and letting the chocolate “gently” fly off the spoon. You aren’t trying to cover the puffcorn, just add enough chocolate to enhance the puffcorn. Bring out the decorations! I used Christmas colored sprinkles. Gently sprinkle and visually judge what looks aesthetically pleasing to you. Very important! Put the trays into the refrigerator to set the chocolate on the puffcorn. It only takes about 10 minutes. Remove trays from refrigerator and break apart the puffcorn into snackable sizes. Store puffcorn in a tightly closed container until serving. 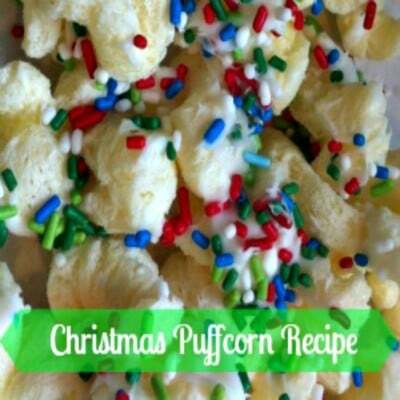 Another twist on Christmas Crack Puffcorn is the very delicious and addictive carmel corn version. I am a fan of Chester’s Butter Puffcorn and this makes an absolutely yummy carmel corn. Split the recipe in half and make one baking pan of Christmas Crack Puffcorn and one pan of Chester’s Butter Puffcorn Carmel Corn recipe; your guests will be in sweet and salty heaven! 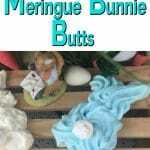 Search the internet under Puffcorn carmel corn and a nice selection of easy recipes will be returned. Seven Days Of Christmas Dessert Recipes You Might Enjoy! Plus Healthy Christmas Coconut Balls! Sweet and salty party snack for Christmas. 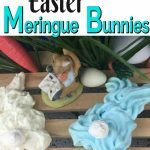 Guests absolutely love this recipe! Place the puffcorn in a single layer on top of the parchment paper. Melt the white chocolate candy melts in the microwave. 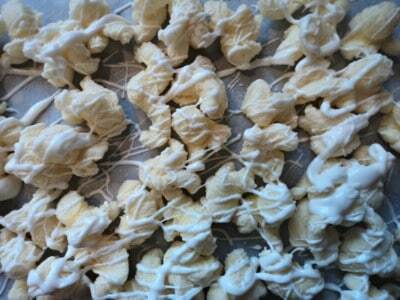 Drizzle the melted white chocolate over the puffcorn with a wooden spoon. Put the baking sheets in the refrigerator for 10 minutes. Store in a closed container. Can be stored in the refrigerator. How interesting! I hope they start selling puffcorn in the UK! Thanks for linking up with #festivefoodfriday! Yikes! The UK is missing out 🙂 – thanks for visiting! Why have I never heard of puffcorn? Guess I’ve been missing out. 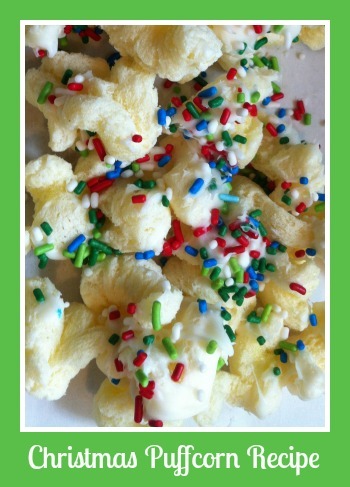 This sounds like an absolutely awesome snack and perfect to serve at a Christmas party or family get-together with the colorful red and green sprinkles. Yum! lol! We all said the same thing about who has been hiding the puffcorn when we first had it! They sell puffcorn on Amazon for anyone who can’t find it in your local grocery store, or for those of you who live abroad and can’t find it. Great recipe and just in time, I need to make something quick and easy for a party and I don’t know too many of the people there, so this will be a great addition to the sweets I’m sure. I like the idea of hull-less popcorn. Those hulls really bother me when I’m chewing, they can even hurt! Knowing I can order it on Amazon is wonderful, and thanks for that. Great idea here! !